Bitwala is a service that makes bank transfers on your behalf in exchange for bitcoins, so you can use it to pay bills in Euro by spending Bitcoin you own. What is more interesting though it the Bitcoin virtual assistant called LolaBot that the company has just launched and it is dubbed the Siri for Bitcoin. 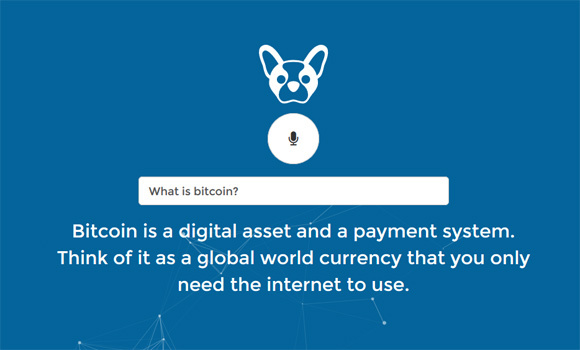 LolaBot is a fun and more personal way to get to know Bitcoin and cryptocurrency in general. Not only are visitors able to ask general questions such as the price of Bitcoin, who invented Bitcoin and so on, visitors interested in getting to know Bitwala can also ask questions about the company, the founders, and even about Lola herself. Do note that LolaBot requires you to use Chrome, Safari or Chromium browser in order for the full functionality to be available, including the voice recognition feature, using it on other browsers will still work, but you will have to type your questions instead of speaking them. It is more of a fun project at the moment than something very functional and useful, but you might still want to give a try and ask LolaBot some questions regarding Bitcoin or crypto currencies or maybe even about the services that Bitwala offers to its customers.